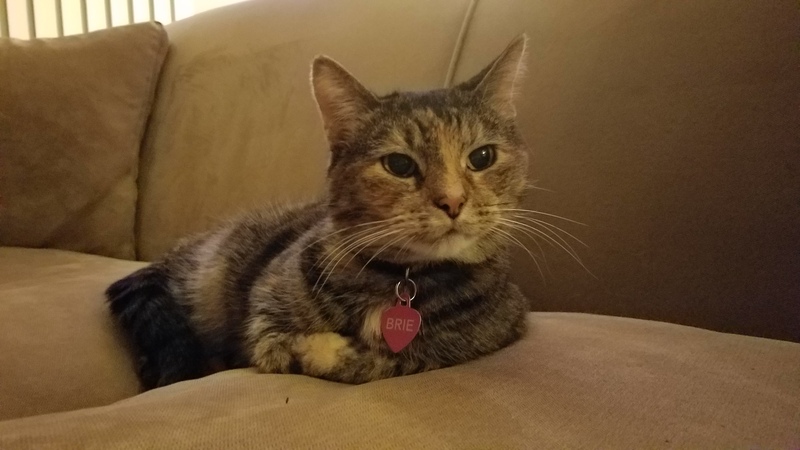 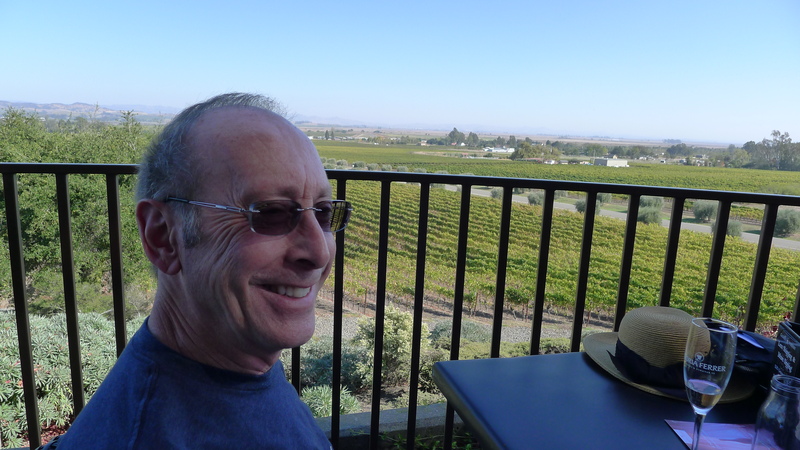 I visited family and friends in Northern California last week. The weather was fantastic, the food was delicious and my overall experience was top notch! 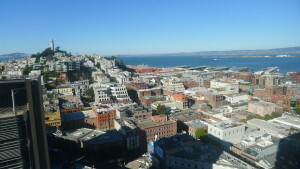 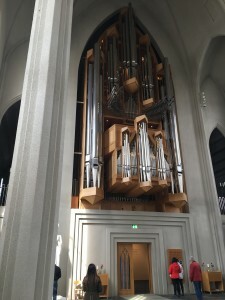 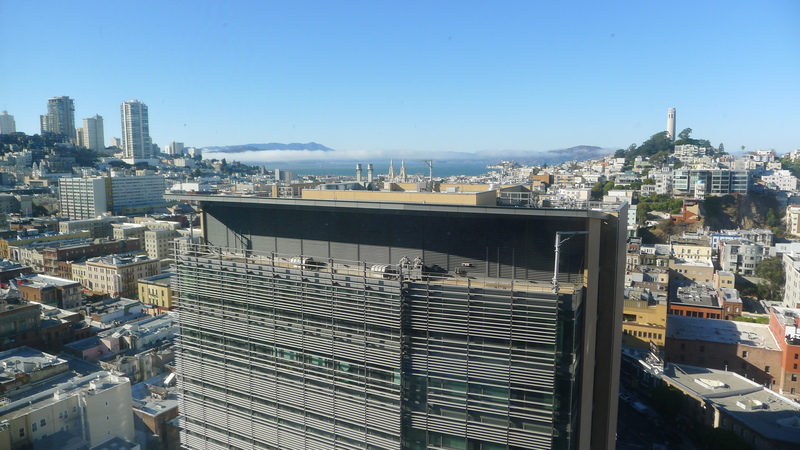 While in San Francisco, I visited my favorite art museums – SFMOMA and The de Young. 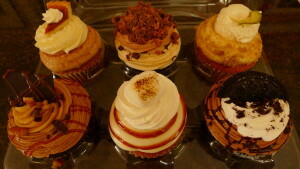 I also tried a couple of new restaurants – Piccino and Burma Superstar. 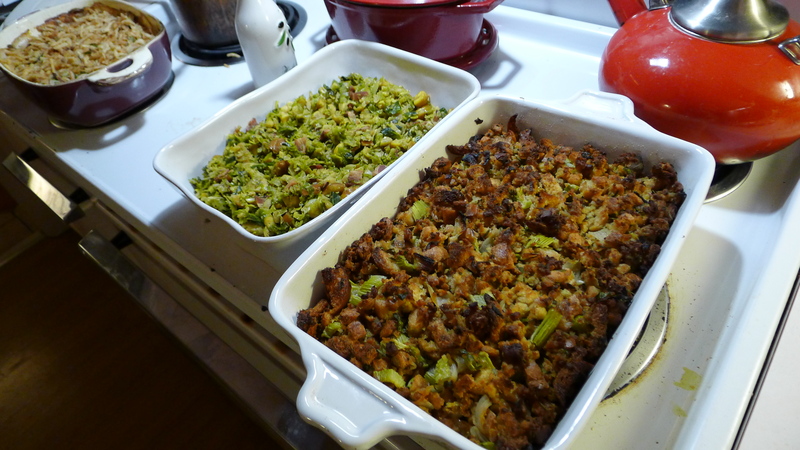 I highly recommend both! 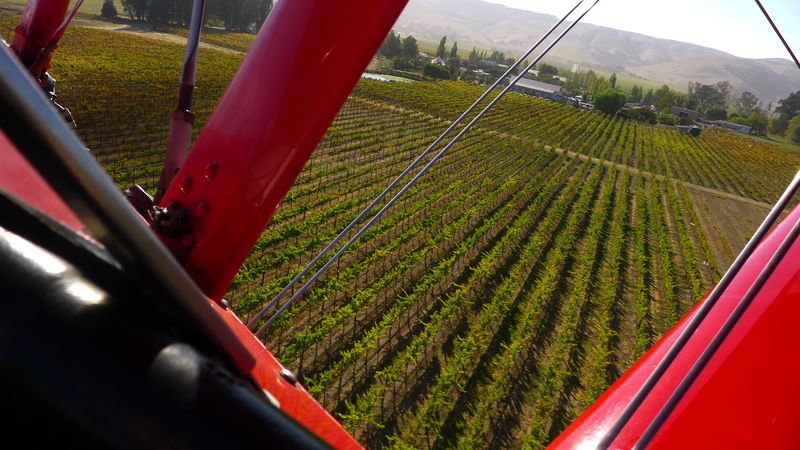 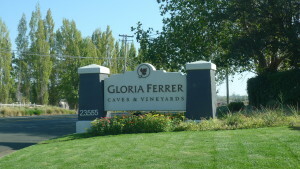 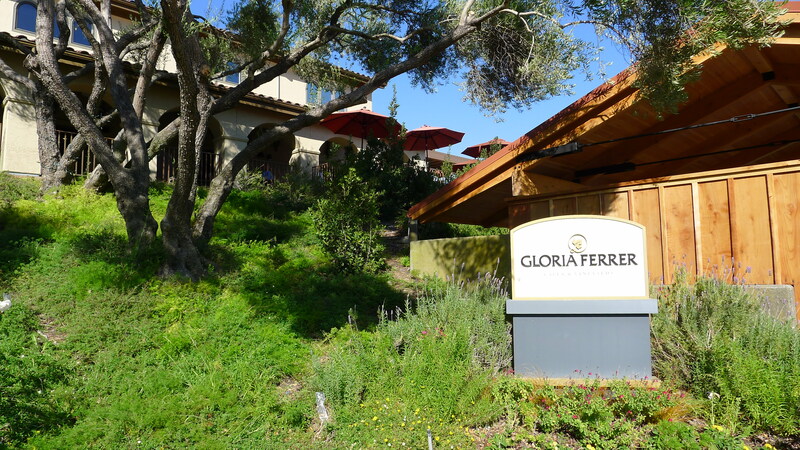 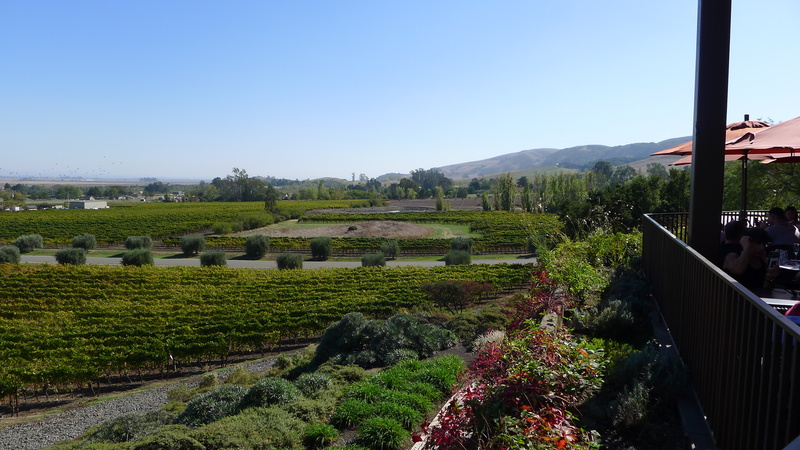 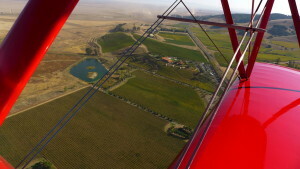 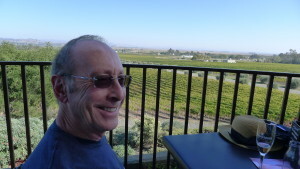 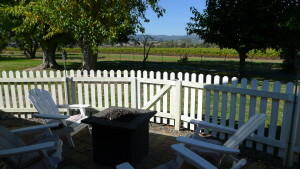 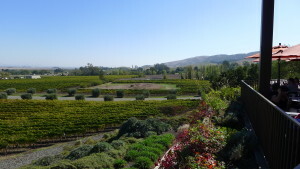 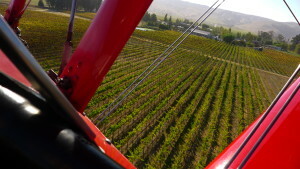 In Sonoma, my friends took me to Gloria Ferrer Vineyards the afternoon I arrived. 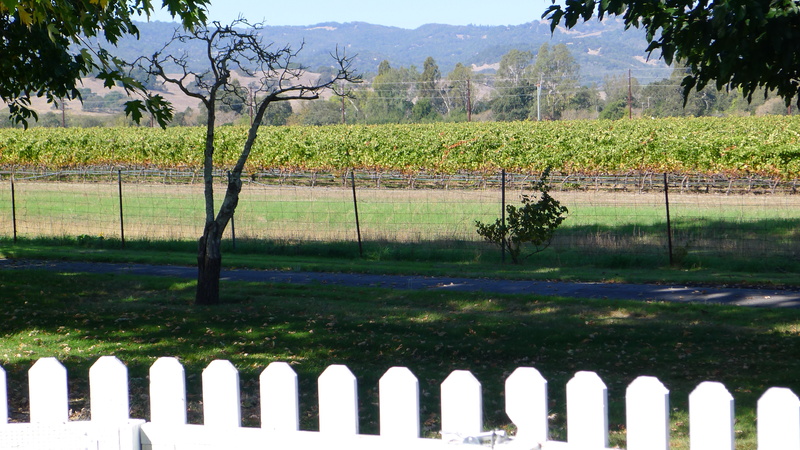 We sampled some of their delicious sparkling wines and snacked on some local cheeses. 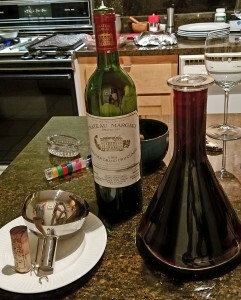 A wonderful way to start the weekend! 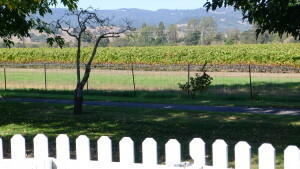 The next morning we drove to Petaluma for breakfast at Hallie’s Diner. Delicious omelets! 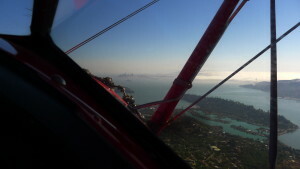 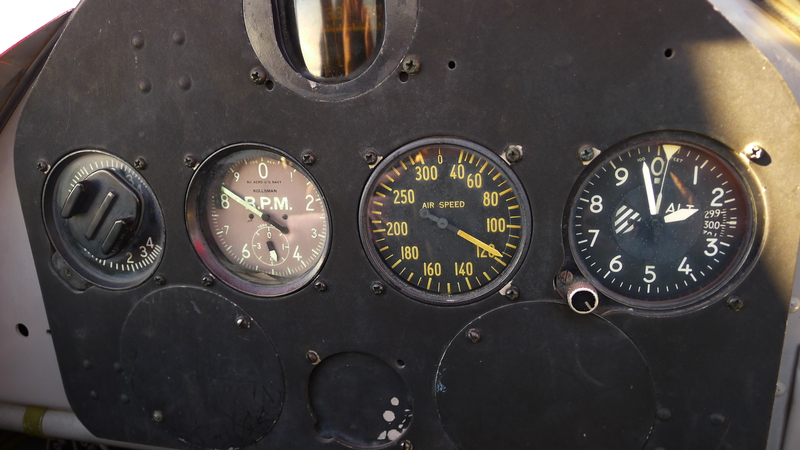 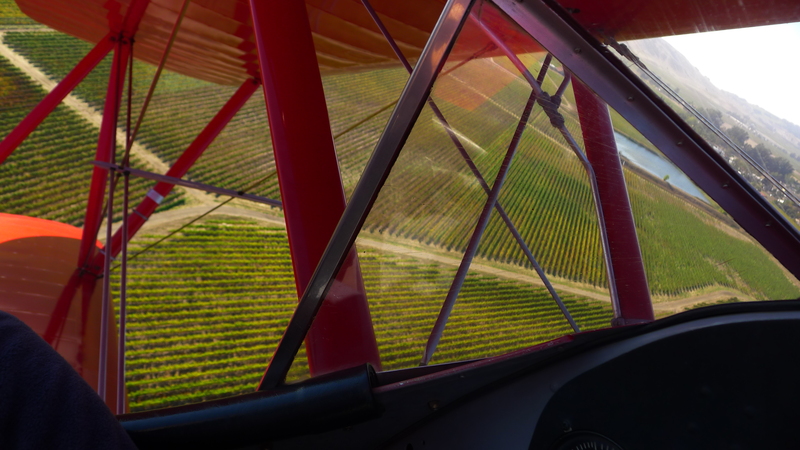 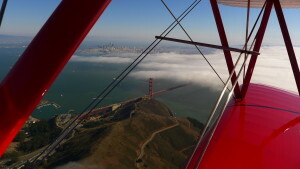 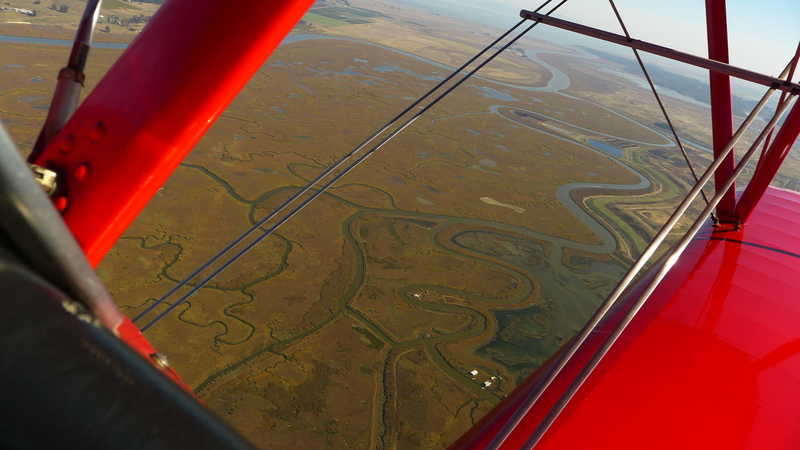 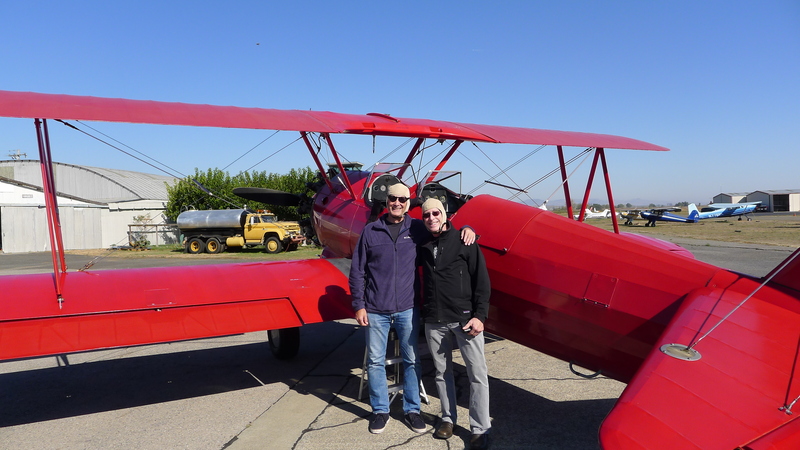 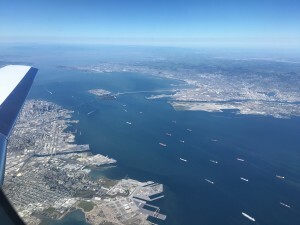 Later that day my friend treated me to a vintage biplane ride to the Golden Gate Bridge and back. 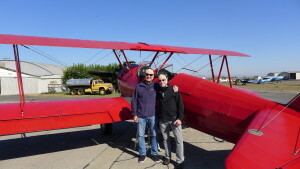 What a fantastic, once in a lifetime experience!! 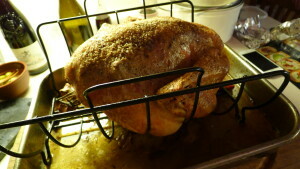 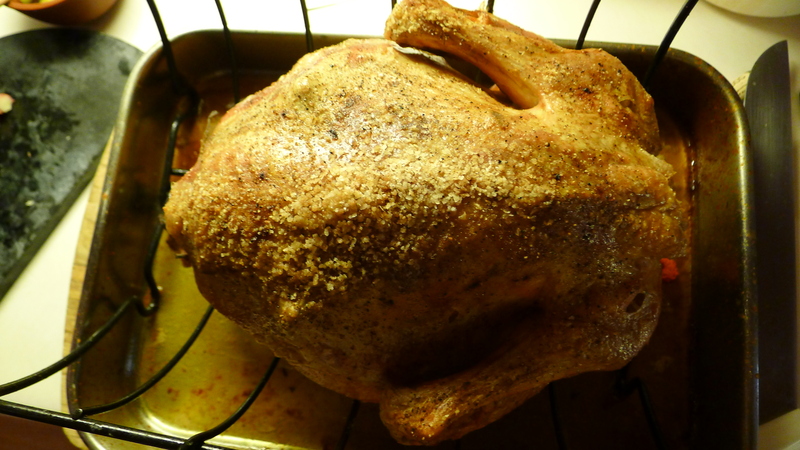 For dinner we grabbed a grilled chicken meal at El Brinquito Meat Market. 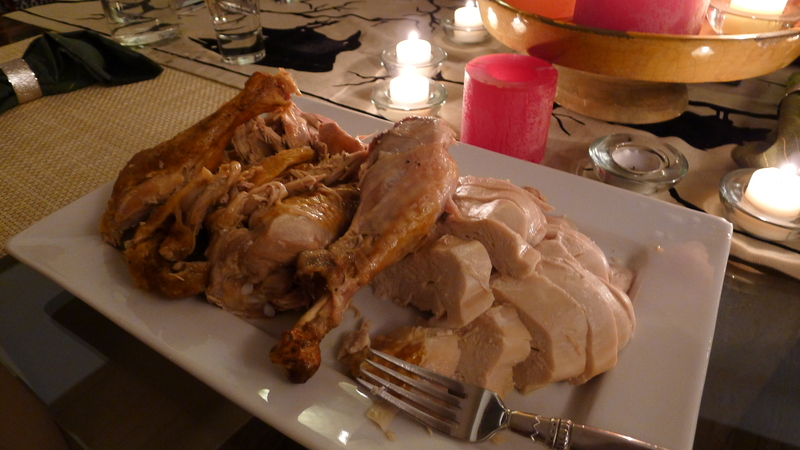 What a great deal – a whole grilled chicken, beans, rice, tortillas and spicy sauce for a mere $20. 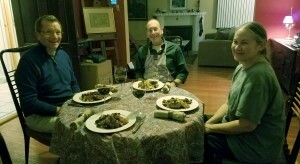 This was washed down w/ a couple of bottles of local wines. Heavenly!! My view in S. F.
Well, this year’s garden may surprise you. 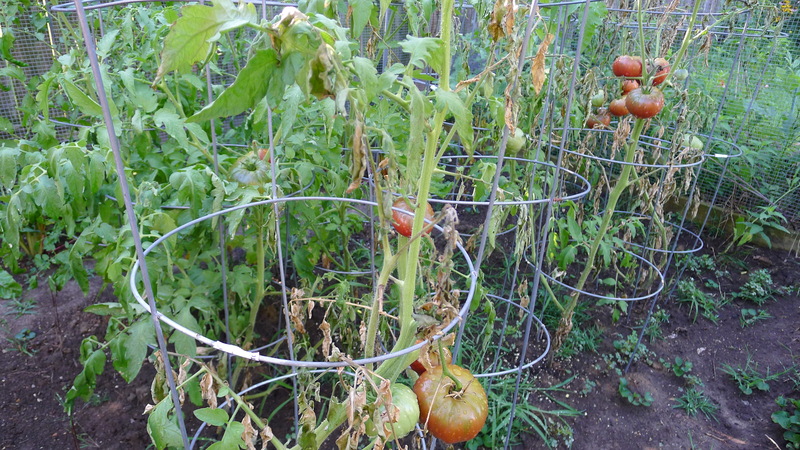 The last few years have been progressively worse and worse w/ my tomato plants despite efforts at crop rotation and soil replenishment. 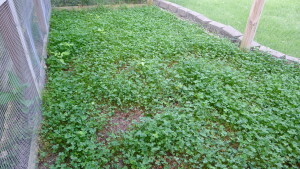 I decided to let my veggie plot go fallow this year, planting only a cover crop of Dutch clover to reenergize the soil. 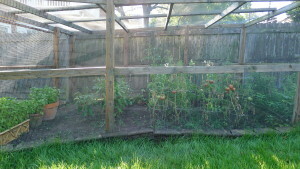 It was a tough decision, but I was tired of watching my tomato plants shrivel up and die year after year. In the fall I’ll till the clover into the soil and amend w/ some peat moss. 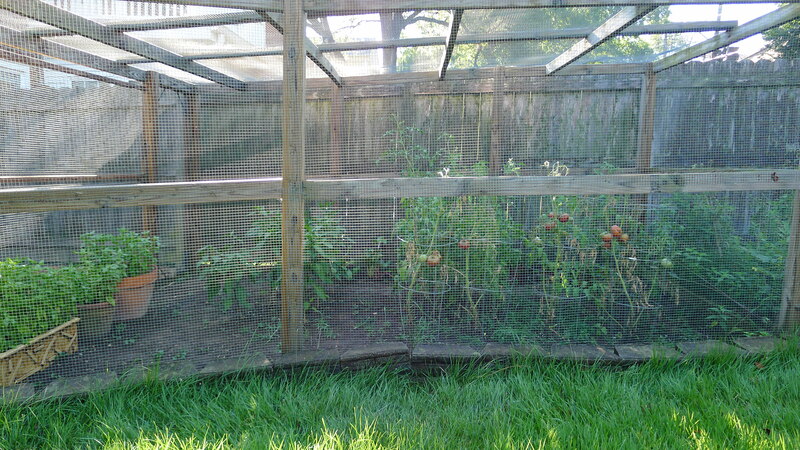 Hopefully this will do the trick so next year I will have a healthy crop once again. 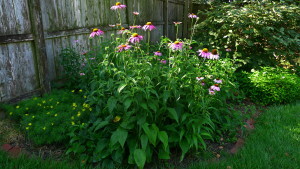 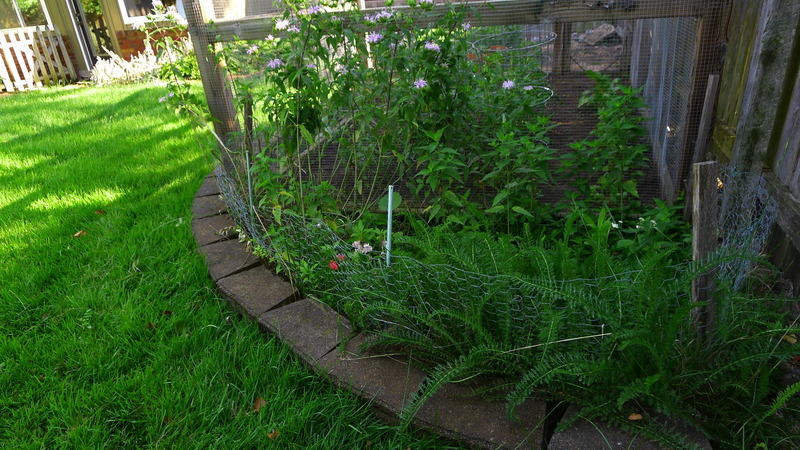 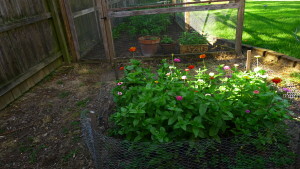 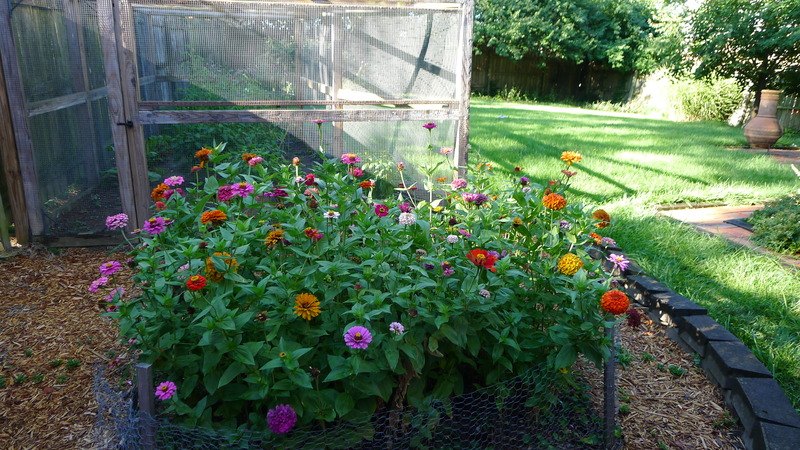 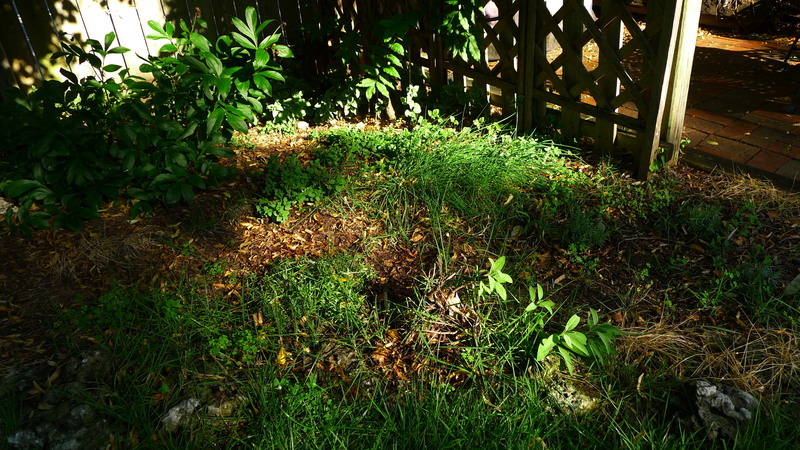 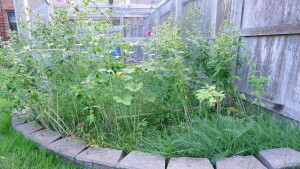 As you will see in the photos, I moved the herbs to the sunny spot where I had been growing zinnias. 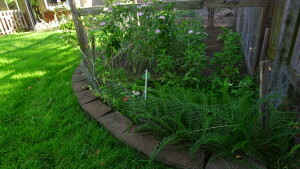 The herbs are now flourishing! In the pots next to the enclosure I have three type of basil growing – from left to right are Italian Genovese, Holy (also known as Tulsi) and Siam Queen (a variety of Thai basil). 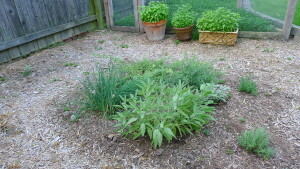 Looks like there will be plenty for pesto this fall! 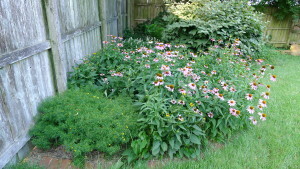 The perennials are doing great too. 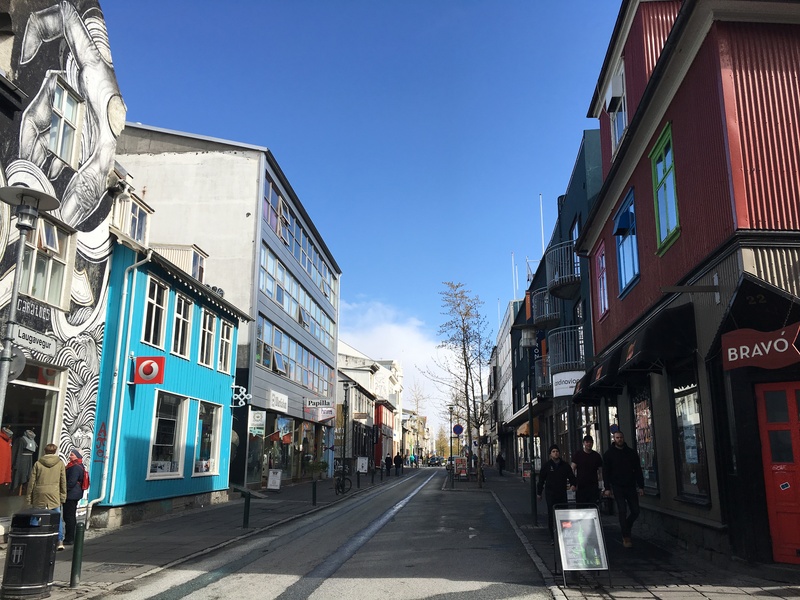 We wandered the city, which is small and very walkable, finding several nice places for food and drink. 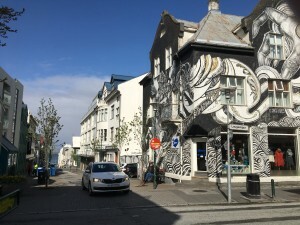 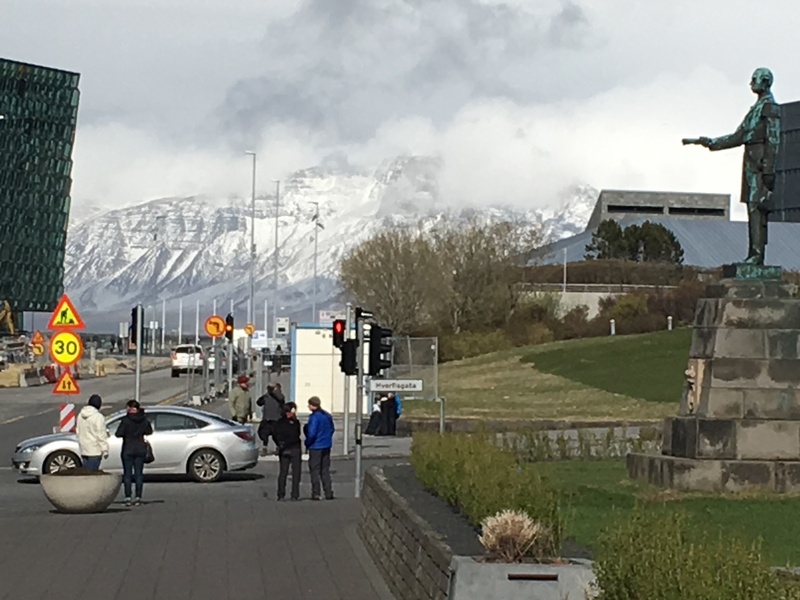 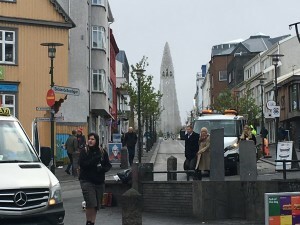 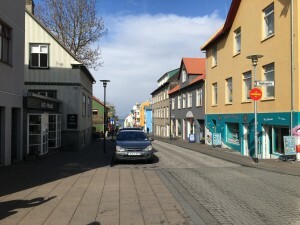 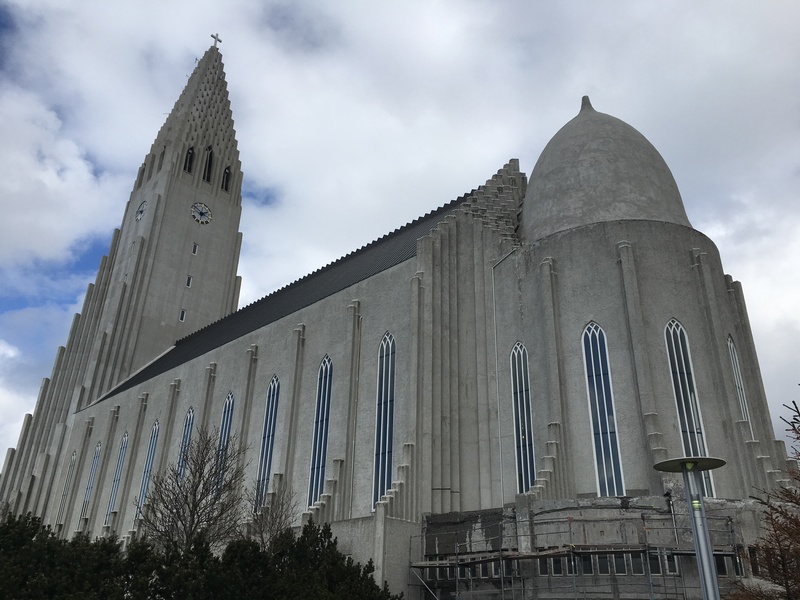 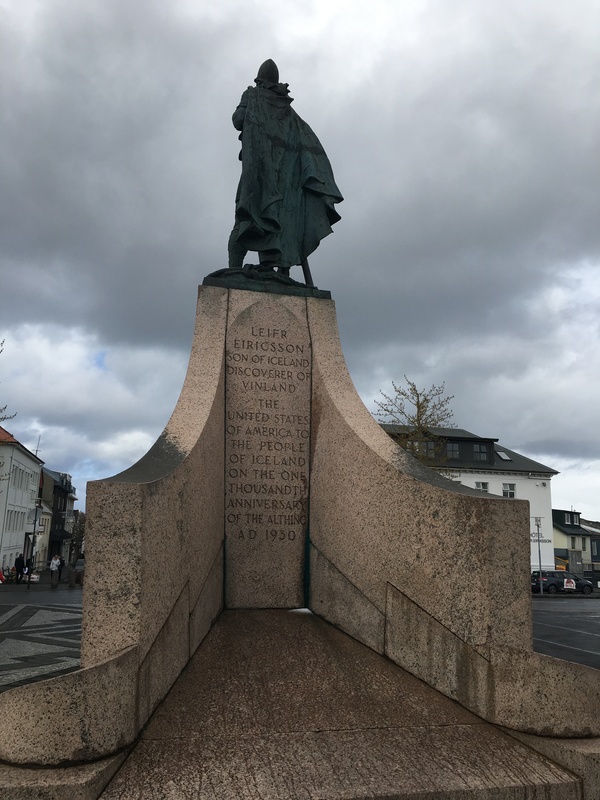 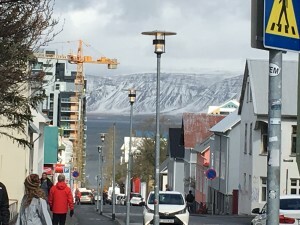 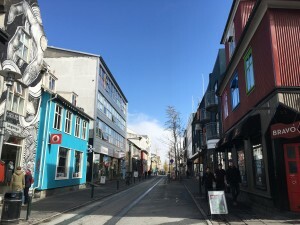 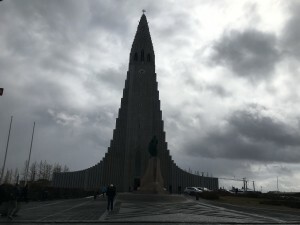 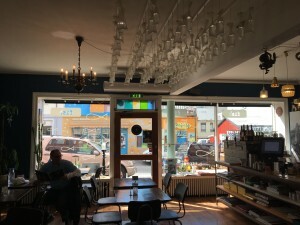 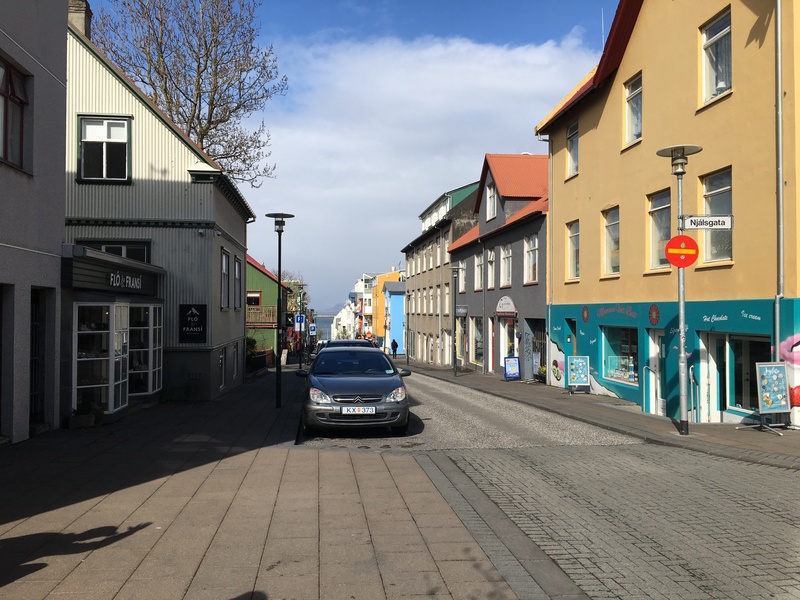 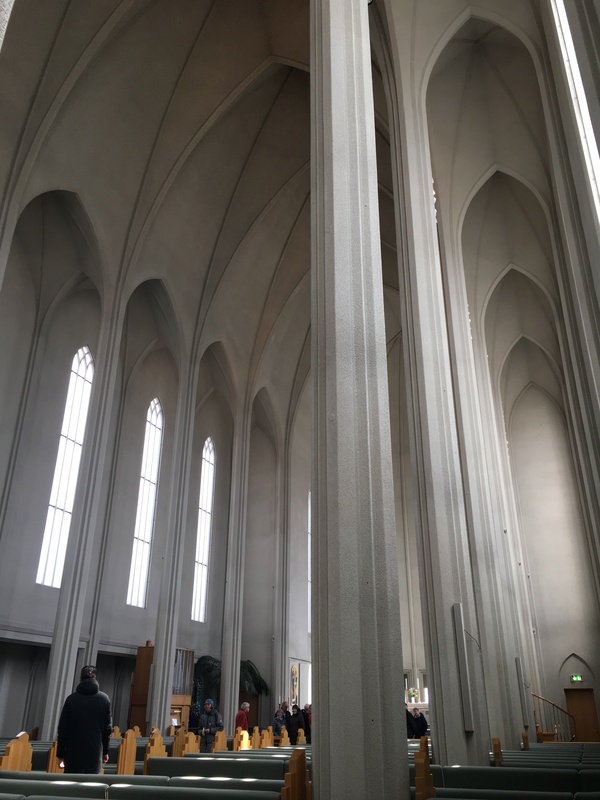 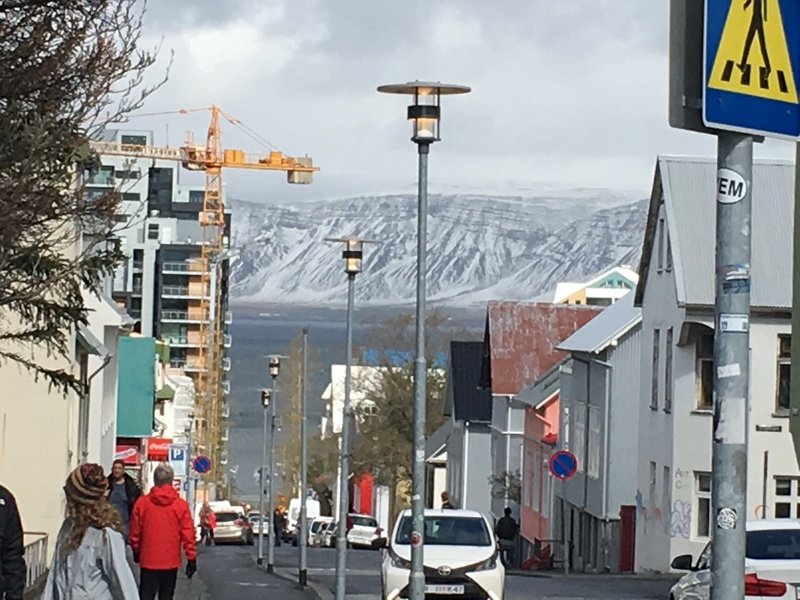 If you’re in Reykjavik and get hungry, I recommend trying Saeta Svinid Gastropub, Salka Valka – Fish & More, or Bryggjan Brugghus Bistro and Brewery. 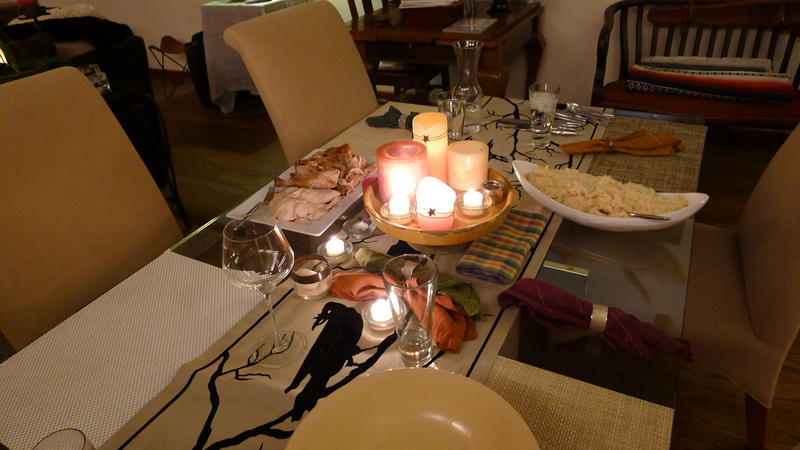 All have great atmosphere and deliciously prepared food. 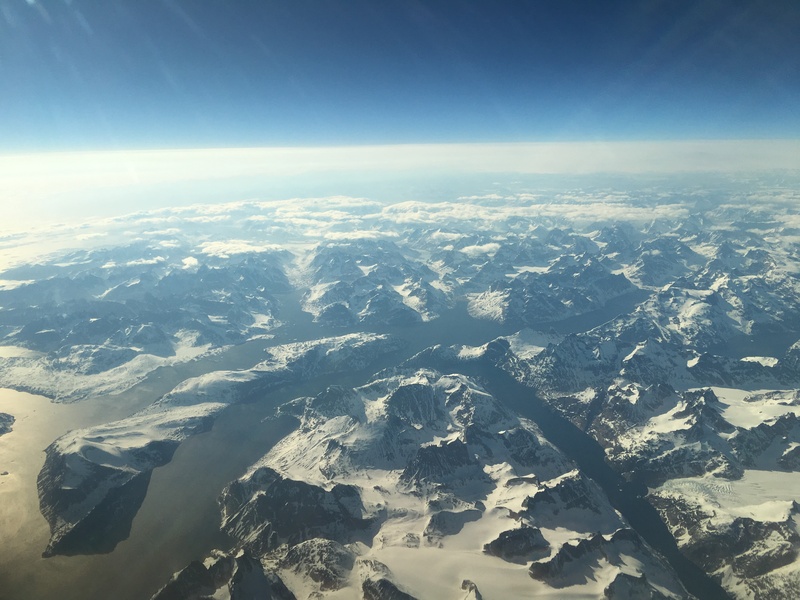 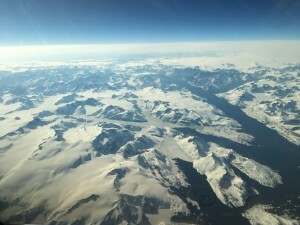 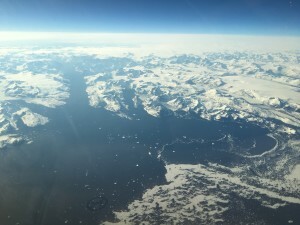 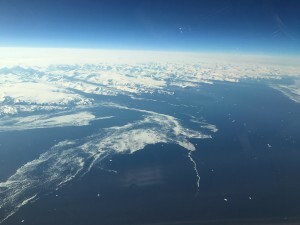 While flying back to the US we had amazingly clear views of Greenland! 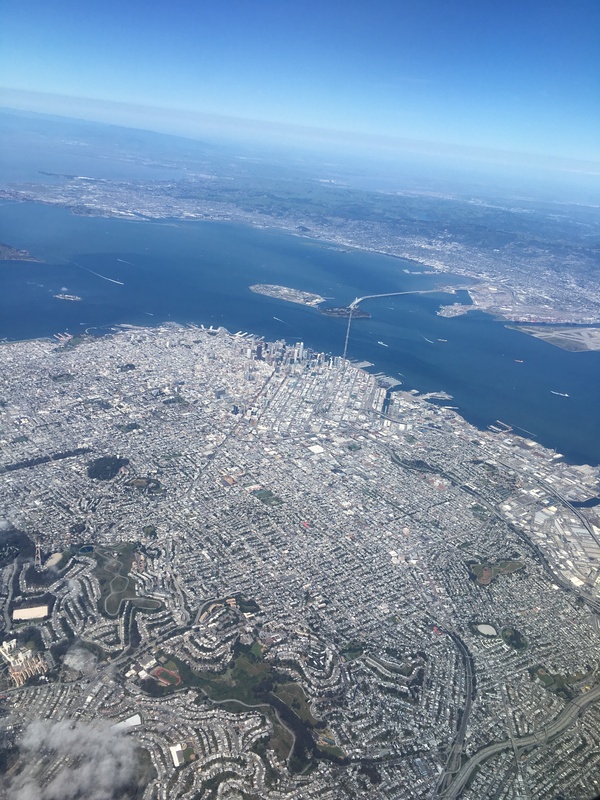 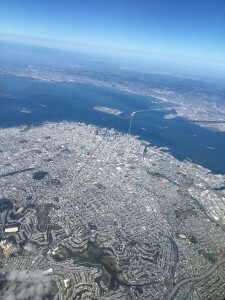 On our descent into San Francisco from Sun Valley, Idaho, I snapped some beautiful photos of downtown San Francisco. 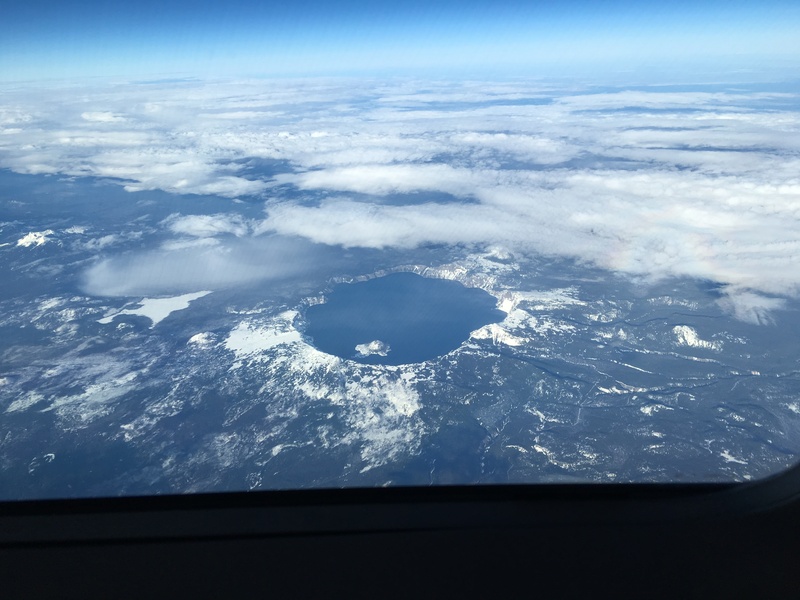 Then, as we were flying up to Boeing Field in Seattle, incredible views of Crater Lake in Oregon made their appearance… snap! A great wine deserves a great meal to go with it! On the menu: Filet mignon w/ shaved black truffles and a merlot/porcini sauce; rosti potatoes; roasted Brussels sprouts w/ agrodolce. For dessert: Frost Bitten Ice Riesling w/ assorted cookies and Brie. Harvested on 10/14/17. 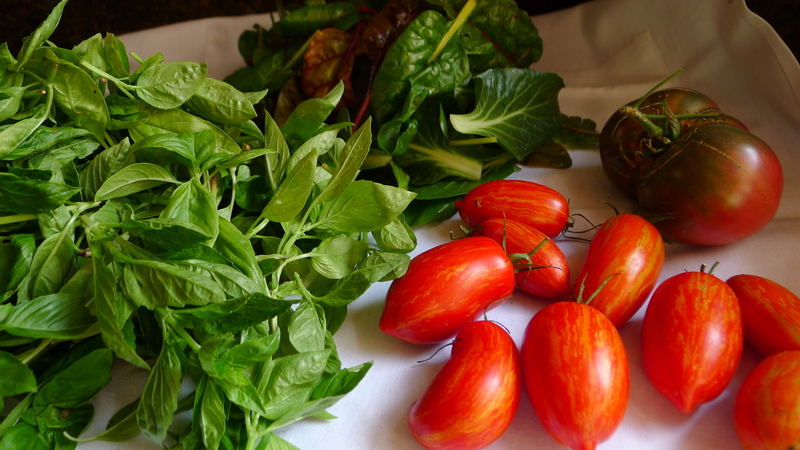 The pile of basil on the left is now a big jar of pesto waiting patiently in my fridge for some pasta! 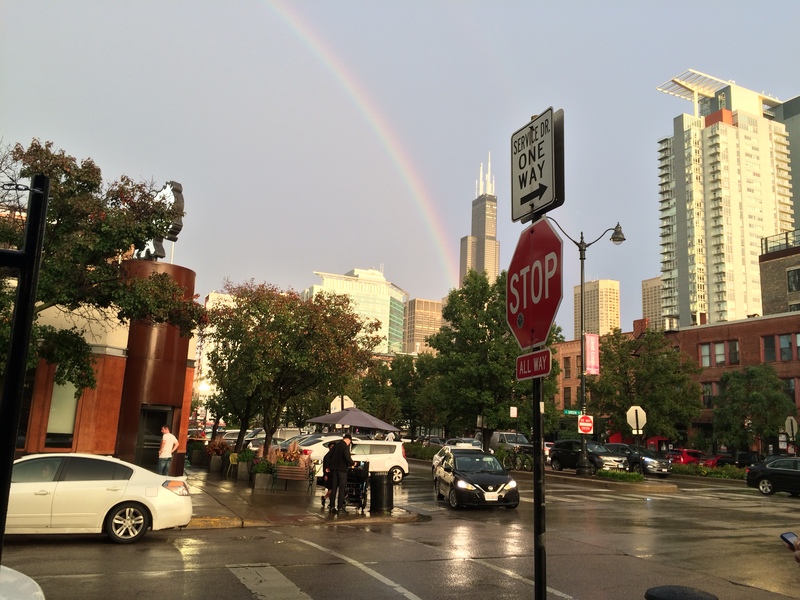 This is what I saw after my early dinner in Chicago last weekend. 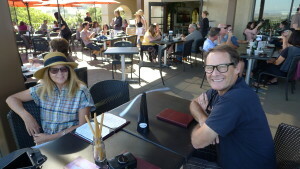 I guess my pot o’ gold was the wild mushroom and roasted garlic pizza I had at Bar Siena that evening! 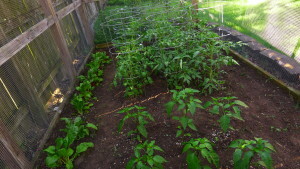 Well, here it is mid-season and the garden is doing so-so. Once again I’m having problems w/ some tomato plants. 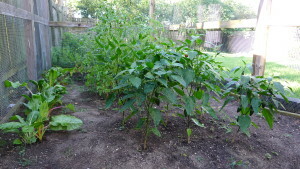 The San Marzano have all but died and the Cherokee Purple are producing but are on their way out. I discussed this w/ a fellow gardener and they suspect the plants have a fungus. The rest of the tomato plants are doing fine at this point. 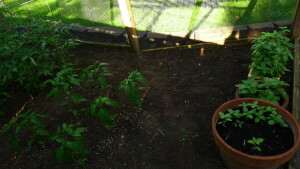 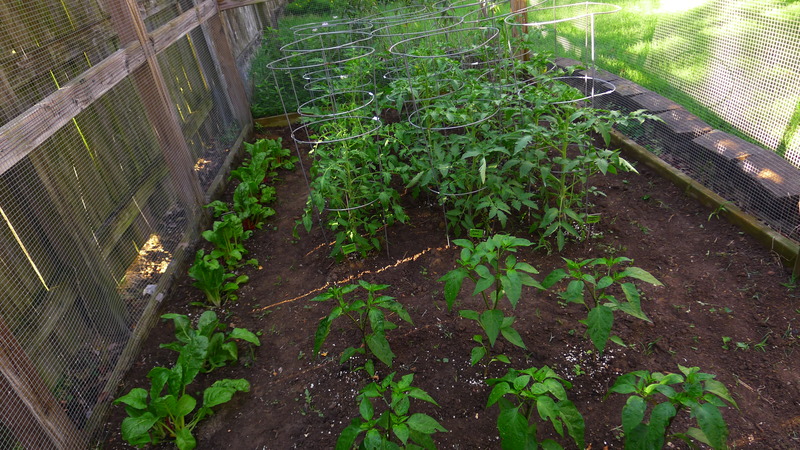 The basil, chard and jalapenos are all thriving. 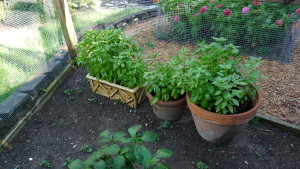 My other herbs probably need to be moved to a sunnier spot next spring. 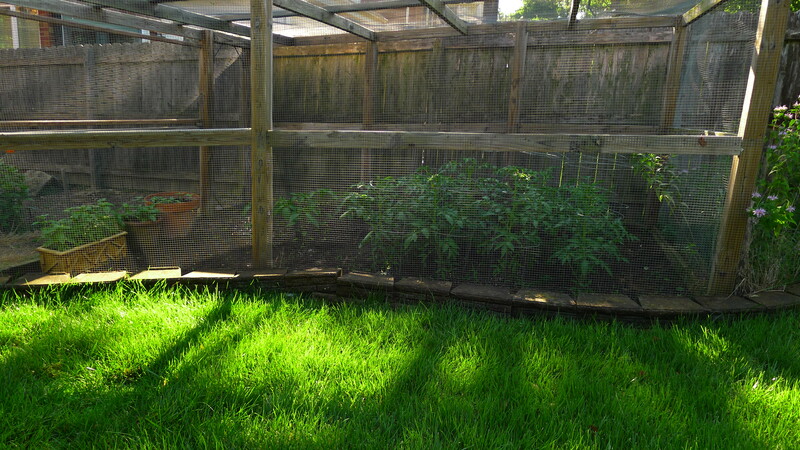 The tree they are beneath has grown quite a bit and is shading out the sun. I may move them next to the zinnias which get tons of afternoon sunshine. 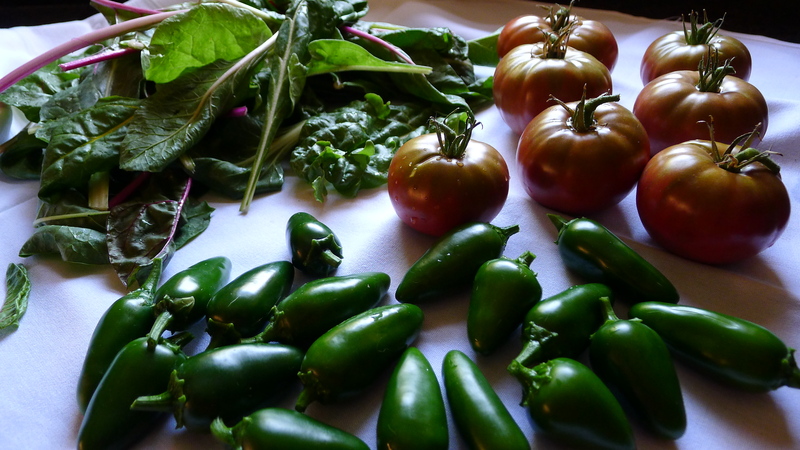 As you can see in the photo of what I harvested yesterday, it looks like there’s salsa in my future!